Melody Of The Night 14 EOPN is provided for you and you can open it with EOP NMN Follow ME plugin to play Melody Of The Night 14 piano by following it. Enjoy Now! 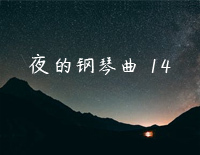 Melody Of The Night 14 is a piece of music by composer Shi Jin from his album Melody Of The Night. In 2011, the album Melody Of The Night won the best solo album for Chinese Music Awards.